Experience the journey, adventure, and lifestyle of four trout bums on an epic five month fly fishing expedition across Patagonia. Do 5 pound brook trout in a creepy forest appeal to you? Broken windows and snapped axles? Uniquely-colored brown trout from a windswept spring creek? Stripping mice for big rainbows with the ghosts of Butch Cassidy and Sundance Kid? Horse-packing into remote rivers? Tierra Del Fuego and the sea-run browns of the south? Enter a new breed of fly fishing entertainment. 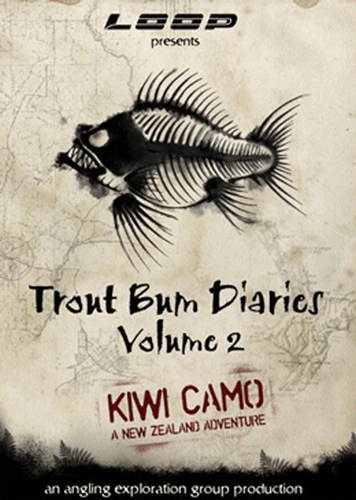 Prepare yourself for 75 minutes of pure fly fishing insanity with Trout Bum Diaries Vol 2: Kiwi Camo. In this installment, the usual suspects of the Angling Exploration Group take you on a hair-curling 4 month expedition into New Zealand’s shadowland as they attempt to seduce the world’s largest & most elusive backcountry brown trout. In addition to the non-stop trials & triumphs of these angling addicts, Kiwi Camo delivers a behind the scenes look into what drives the seemingly crazy trout-bum lifestyle. If you enjoyed TBD v1: Patagonia, this one is sure to hook you instantly. 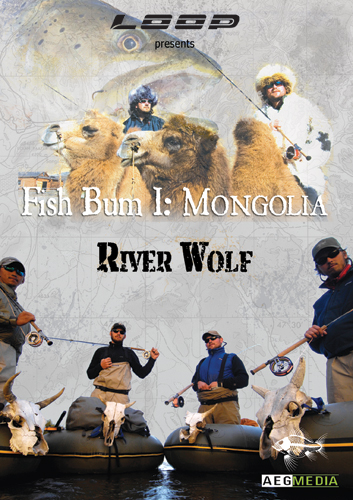 AEG Media’s third feature film, FISH BUM VOL I: RIVER WOLF is packed with extraordinary footage and never before seen river systems hidden deep within the remote reaches of inner Mongolia. AEG Fish Bums: Chris Owens, Thad Robison, Justin Crump and Brian Jill embark on an adventure covering unexplored territory on horseback, camel, bush vehicles and hiking boots all in the search for the largest known trout in the world, the Taimen; a fish of legendary myths and proportions. The vast beauty of Mongolia, the scenery, nature, culture and people that surround the crew is an irresistible experience. Follow along as they search to unlock the secrets, struggles and successes in their attempt to find this elusive fish, as well as examine the threats imposed on this creature from pre-historic times. 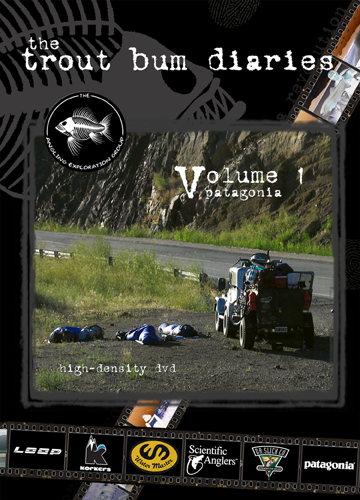 The last in the series from AEG (Trout Bum Diaries), FISH BUM VOL II: METALHEAD chronicles the epic journey of five fish bums and their friends as they travel to remote Northwestern wilderness in search of legendary steelhead; the hottest freshwater fish you can catch on a fly rod and also a fish whose survival hangs in the balance. Filmed as an adventure documentary, the fish bums face the challenges of mother-nature, border police and Giardia. This untamed and majestic land offers the best opportunity for an angler to hook into a wild trophy steelhead. If you are lucky enough to land one these incredible fish, you will be forever changed. 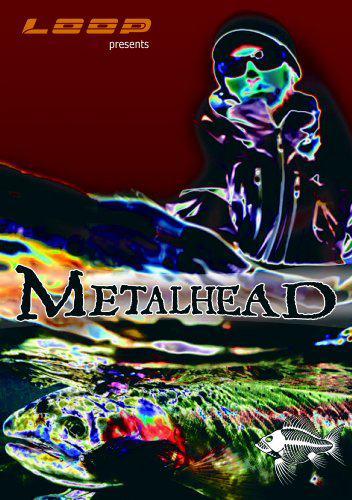 Follow the dedication, obsession and insanity that drive steelheaders to pursue a fish that is not in the river to feed, a fish known as Metalhead.